Roughly half of the city's budget, 41 million dollars, falls under the somewhat vague column of Public Safety. In the last 15 years crime has dropped significantly; violent crime is down 16 percent, property crime down 50 percent, as the Chief pointed out last week. 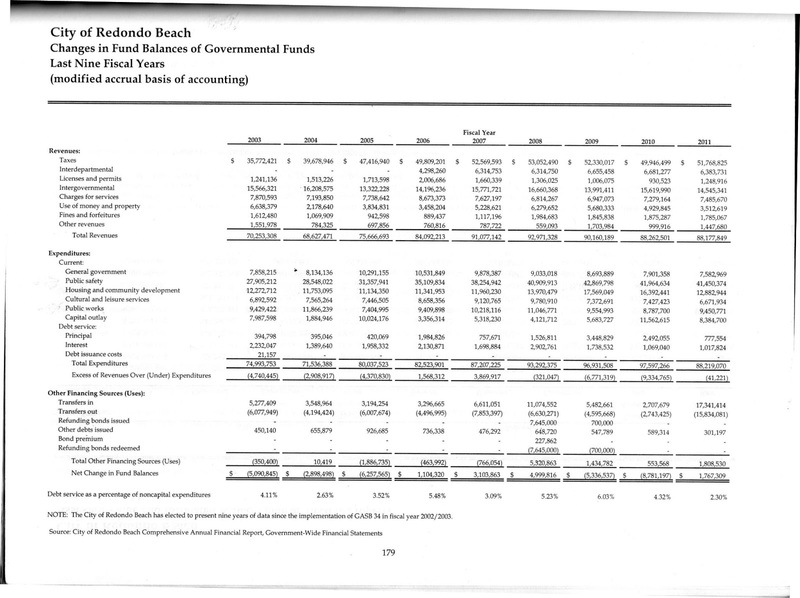 This is page 179 from the Comprehensive Annual Financial Report 2011. 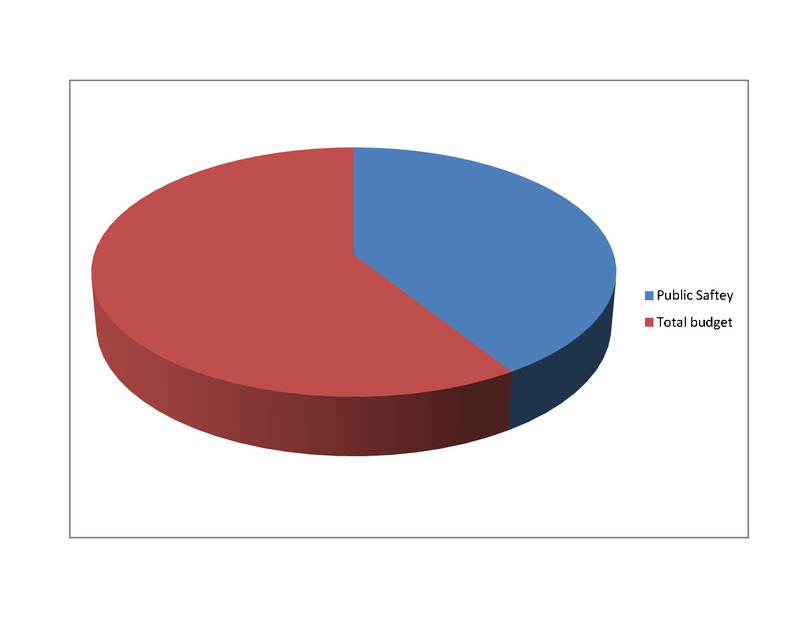 It shows how over the span of the last 9 fiscal years basically all government departments spending has remained the same. 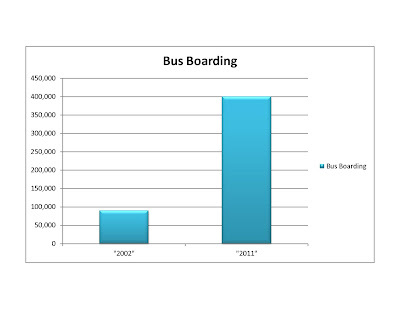 Housing and Community Development 12 million in 2003, 12 million in 2011. Cultural Services 6 million in 2003, 6 million in 2011. Public Works 9 million 2003, 9 million 2011. And then we get to this column of Public Safety. 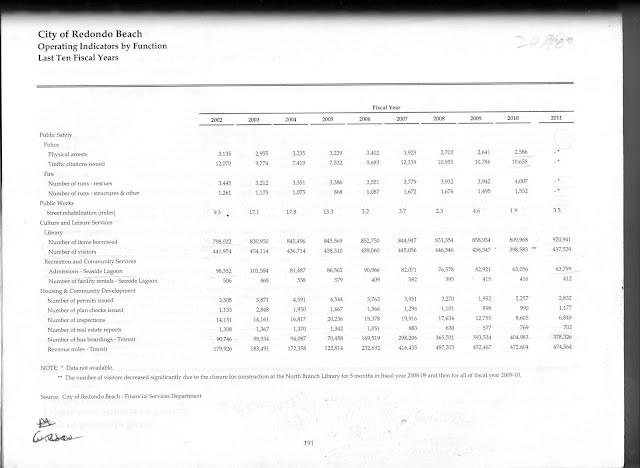 The interest on the city's debt did see a dramatic decrease; however, the principle on the debt doubled. This whole issue comes down to staffing. 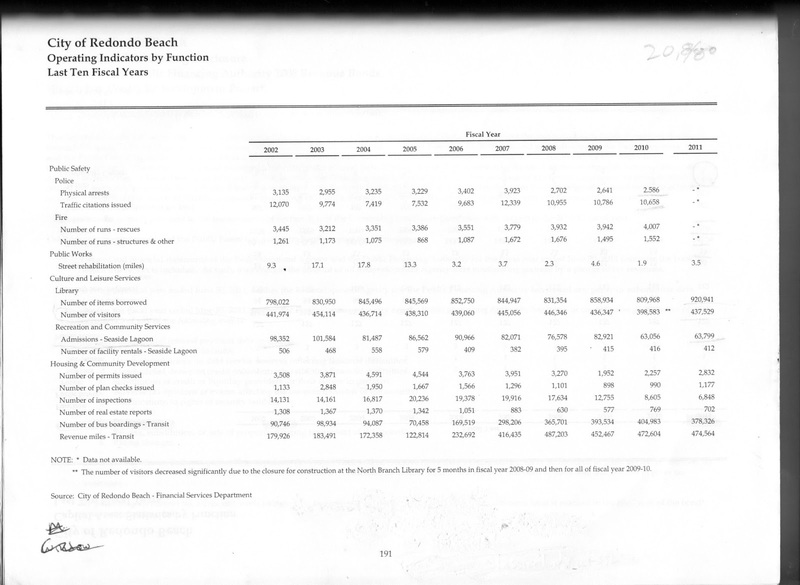 Almost all departments have had cuts. Housing and Community Development has gone from 44 employees to 31, a 25 percent reduction in personnel, Cultural Services has gone from 50 employees to 37, a 25 percent reduction. 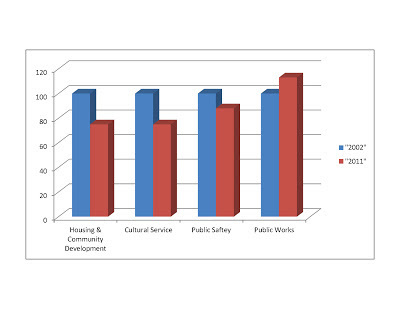 Public Safety 109 employees in 2002, 96 employees by 2011, a reduction of between 11 and 12 percent. 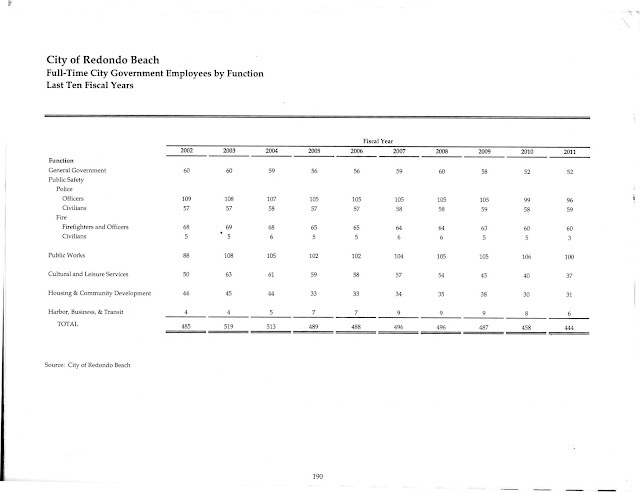 The one bright spot in all this, Public Works during this same period has managed to hire 12 new people, going from 88 employees in 2002 to 100 employees in 2011 with significantly less money than this somewhat mysterious column; Public Safety. 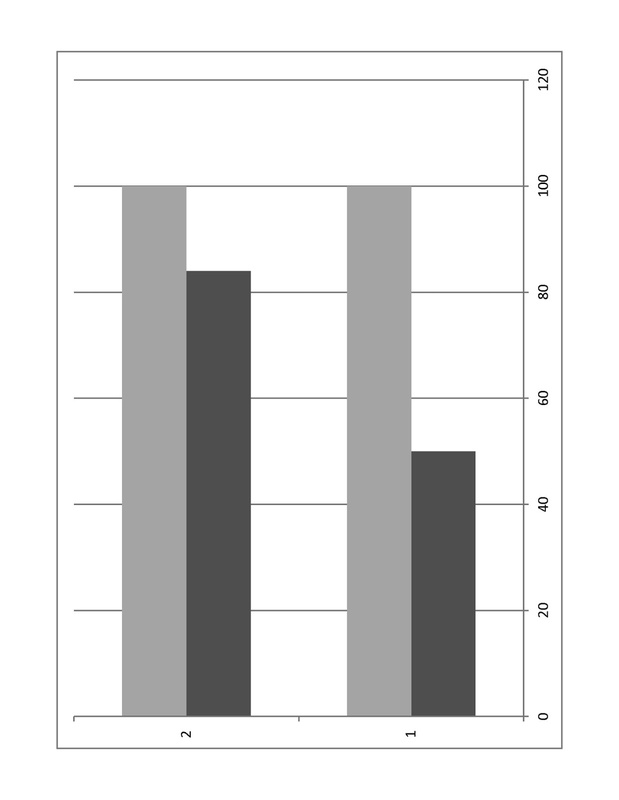 What's also interesting is all departments have had to do more with less. For instance Mass Transit for instance has not seen a genuine increase in funding, despite the number of bus boardings quadrupling from 90,000 in 2002 to just shy of 400,000 by 2011. Under the Public Safety column there have been 3,135 physical arrests in 2002, 2,500 in 2011. 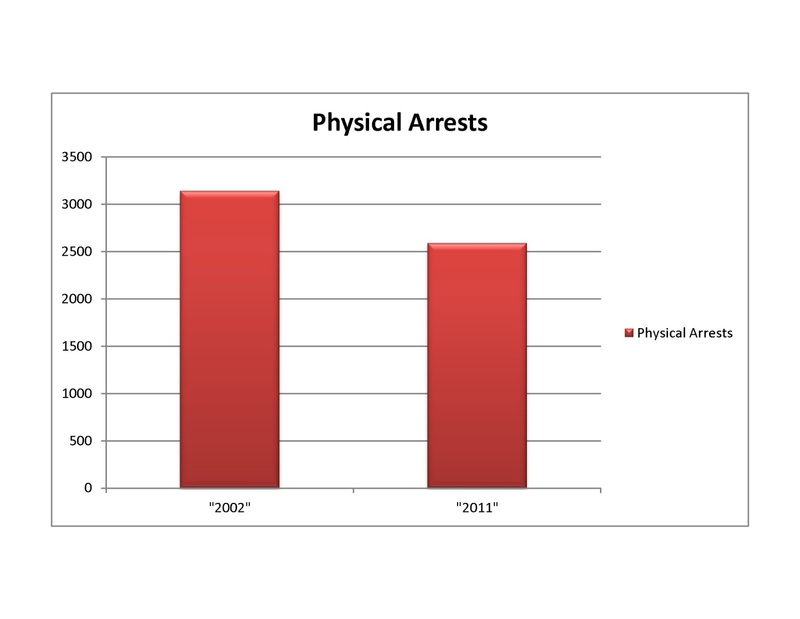 Now that's a 19 percent reduction in physical arrests. 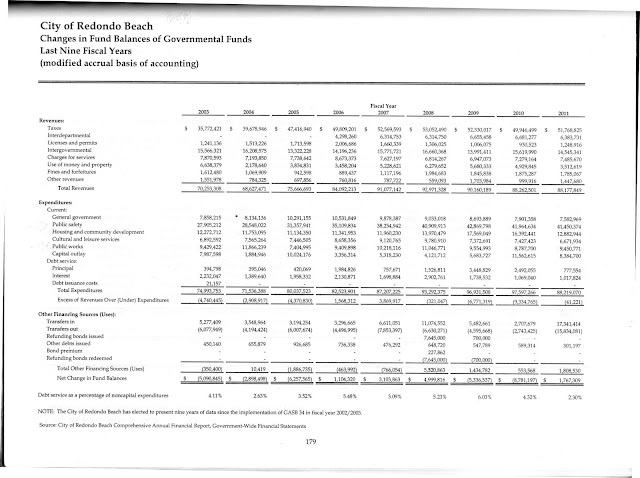 So, the monies allotted to the Public Safety-Industrial Complex has gone from 28 million to 41.5 million dollars, an increase of over 40 percent... and we've been talking about privatizing ambulance services... No new police or fire stations have been built, or for that matter, no new libraries, parks, or community centers have been built. So, where is that money? Did it vanish? Top cops,? Pensions? Where is it? Where did it go? I mean the last line of the Police Mission Statement is to be fiscally responsible, right? Also, is that really what we need? 13 more police officvers to drive around our quiet little beach community, looking for ways to justify their existence? I just hope they don't run out of ideas for ways to ticket people. I anticipate a day where scores of Redondo residents will wake up and their cars littered with tickets for not turning their wheels against the curb, much like Hermosa residents had to endure. And while I don't really expect this question to be answered, I would like it asked; are those members of the Police Officers Association, which is a Union, that are walking around door to door, campaigning for candidates, are they on the clock?